In case the specs have escaped your mind, the BlackBerry KEY2 LE features a 4.5-inch LCD display with a 1080 x 1620 resolution. The Snapdragon 636 Mobile Platform is under the hood along with 4GB of RAM and 64GB of native storage. A dual camera setup (13MP + 5MP) adorns the back of the unit, and there is an 8MP selfie snapper in front. Keeping the lights on is a 3000mAh battery, and Android 8.1 Oreo is pre-installed. 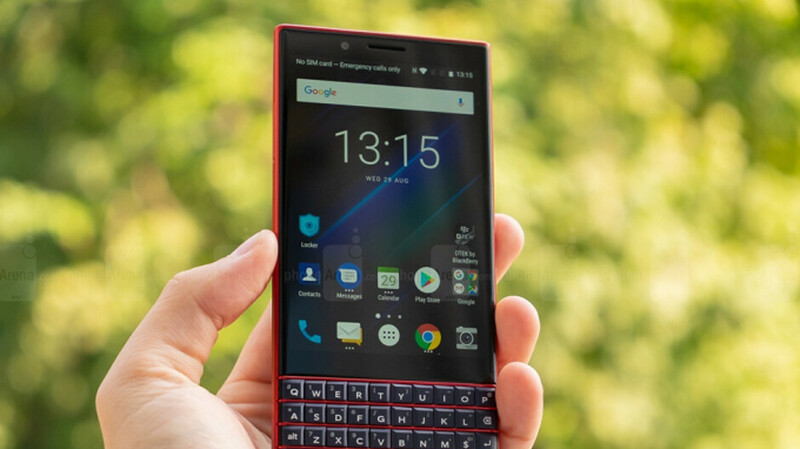 Like the KEY2, the KEY2 LE features a physical QWERTY keyboard and a special Speed Key that allows the phone to switch between apps with the press of a letter key. Each letter can be used as shortcut buttons for two apps, allowing you to preset up to 52 apps using the physical QWERTY keyboard. Now that the phone is back in stock at Amazon, there is a way to grab an instant price cut. If you apply for the Amazon Rewards Visa Card and are approved, you'll get $50 knocked off the price of the KEY2 LE making your cost $399.99.